Portuguese archaeologists digging near one of Lisbon's most iconic restaurants, the Solar dos Presuntos (Manor of Hams), have discovered a large Roman cemetery holding 2,000-year-old skeletons and various ancient artifacts. The necropolis was found after the restaurant owners decided to expand their establishment, founded in 1974 in Lisbon's historical center. "What we found was a big surprise," said Nuno Neto, an archaeologist at Neoepica, the company that carried out the digging at a depth of around six meters (20 ft). "The level of preservation is excellent, and the set of artifacts is fabulous." 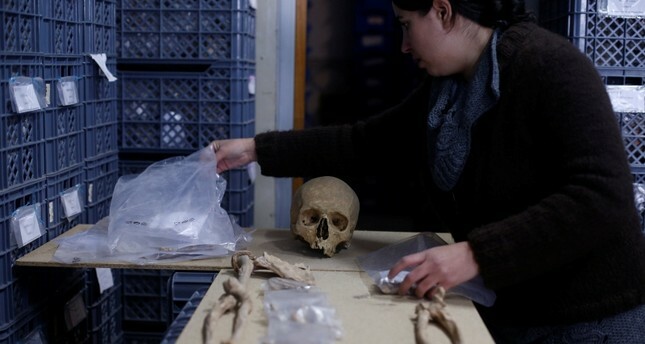 The necropolis was found to hold 25 skeletons, 35 sets of cremated remains, pottery and coins used in ancient burial rituals. All have been moved to Neoepica's research laboratory, which will eventually transfer them to the city council. Roman armies occupied Olissipo, as Lisbon used to be known, around 200 B.C. and it remained under Roman control for several centuries.